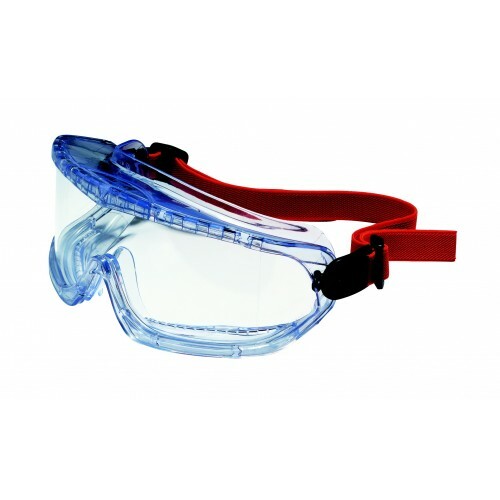 Sports style goggle with 180° field of vision for distortion free peripheral vision. Fits over a variety of prescription eyewear and can be combined with half masks. Anti-scratch and anti-fog lens. Suitable for use against liquids, large dust particles, molten metal and hot solids.